El Vato is an American 60 minute scripted comedy television series, which kicked off on April 17, 2016, on Telemundo and is broadcast every Sunday at 22:00. The show is currently in its 2nd season. Telemundo is yet to announce the renewal of El Vato for Season 3 as well as its cancelation. Sign up to track down the show's status and its release date. Regional Mexican Act The Dasa, has changed the settings on television when he was elected the protagonist of the first scripted series of NBC Universe, titled "Vato". 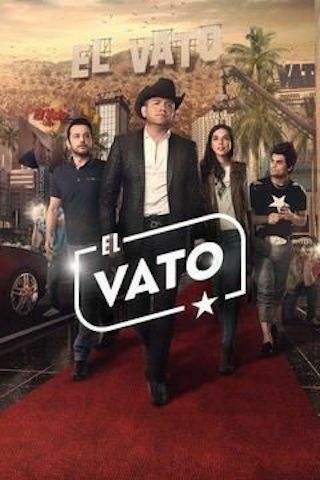 "El Vato" will have 10 episodes, produced by Endemol Latino and Boomdog Shine, based on the real life story of El Dasa. The Dasa (real name Dasahev Lopez Saavedra), was discovered by the Mexican icon Vicente Fernández in Los Angeles, when the Dasa worked as a driver and had to pick up the famous star.Seizing the opportunity, El Dasa "auditioned" in the car Fernandez and Fernandez invited him to sing a duet with him at the Gibson Amphitheatre in Los Angeles in 2011. Since then, El Dasa has toured and shared the stage with great Regional Mexican bands like Banda el Recodo, La Arrolladora Banda El Limón, El Coyote and his band, among many others.